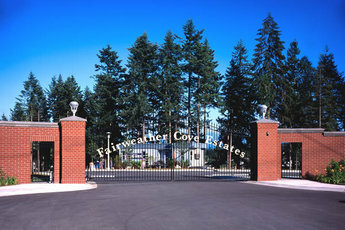 Installing an entry gate and fencing is the best way to control access and security for your business. You need a system that offers durability, functionality and reliability - in other words, a system that works. With Automated Gates and Equipment, you get all of these along with custom design and installation to meet even the most unusual conditions. With that also comes 24-hour service and maintenance so you never need to worry about a break down. Working with Automated Gates simply offers the best in security solutions - guaranteed. Check out our commercial portfolio and you'll see why Automated Gates is the most sought after resource for commercial security gate needs in the Northwest.